Easter island is a triangular multi-volcanoed mound, roughly 14 miles long by seven miles wide that lies 2400 miles west of the coast of Chile and 2500 east of Tahiti. Whether the first inhabitants came from South America or from Polynesia no one really knows. 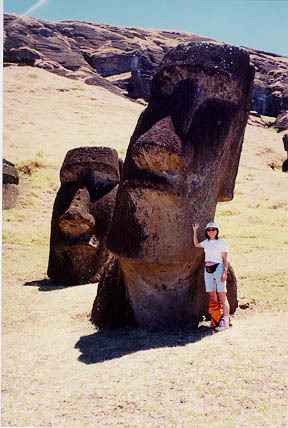 Statues of 12 to 25 feet in height are everywhere on the island and they are called moais. 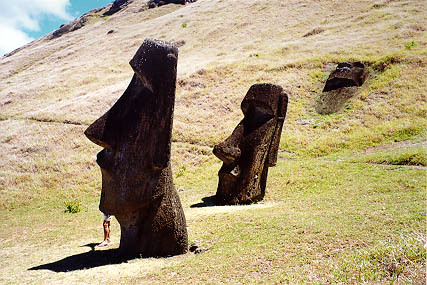 These stone statues are half burried with only their upper part showing and are scattered all over the island with the majority of them around the Ranu Raraku volcano, located on the east coast of the island. 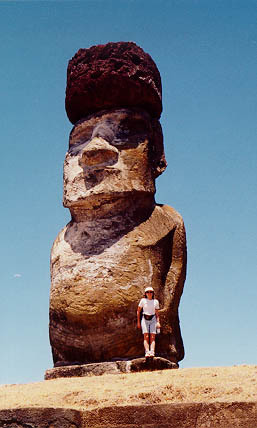 In Ahu Tongariki, the moais are on a platform which is called Ahu. 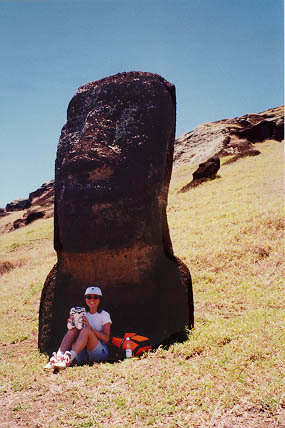 There is a very special moai now located on the Anakena beach. 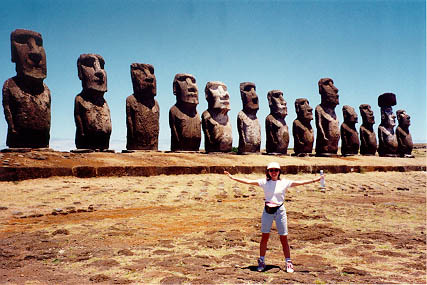 It was offered to Pedro Atan Kontiki, the Norweigian archaeologist, during the very first expedition to Easter Island. This moai shows a slightly different architecture. 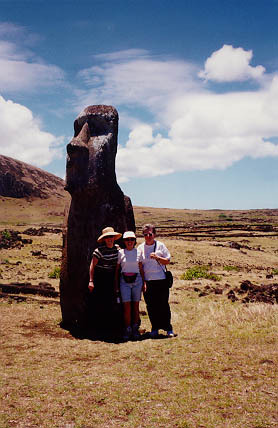 The island, called Rapa Nui by the local inhabitants, is considered the most isolated place on earth. It's volcanic in nature and has tropical weather that reminded Hippo of Maui, and its present inhabitants have Polynesian features. But the ceremonial site of Vinapu have remains of great stone walls that resemble Inca architecture. 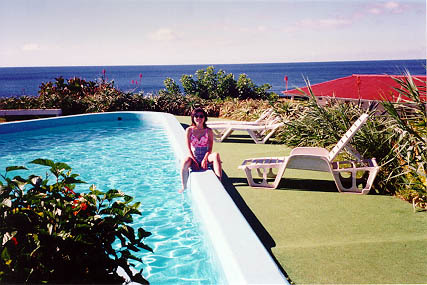 There is only one town called Hanga Roa and it is where all the inhabitants of the island live. The airport has the longest runway in the world. It was extended to be an emergency landing site for the US Space Shuttle. Hippo nearly went mad with excitement being there. Having read Thor Heyerdahl's books on Easter Island, it was a dream come true to finally be there.